When it comes to choosing a new dentist for a procedure, it can often be a very stressful experience. This is only natural, as putting your oral health in someone else’s hands is a big deal. It is easy to wonder if the doctor caring for you is actually interested in your health or if the doctor you have chosen is even qualified to help you. At Smile By Design, we completely understand that trust needs to be formed between a dentist and their patient before moving forward with any treatment. 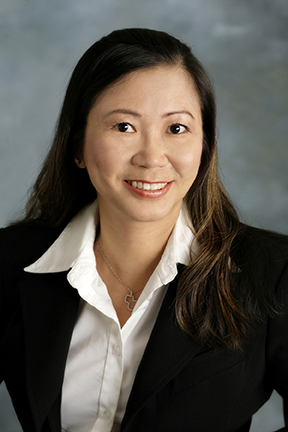 Today, Dr. Donian Shen is blogging from her Mountain View, CA office to talk about exactly why you should choose her for any of your oral health procedures. When it comes to finding a dentist you can trust, it is first important to know their qualifications. Dr. Shen completed her training in dental implants at the prestigious Carl Misch Institute and is happy to be a member of the International Congress of Oral Implantologists. We recommend dental implants to our patients suffering from missing teeth because they provide replacement teeth that are comfortable, natural looking, and, best of all, permanent once in place. In fact, dental implants work and feel just like natural teeth. It is imperative to find a dentist who stays up to date with all the latest advancements in dental technology. Dr. Shen is proud to say that she makes a point of keeping up with all the latest technologies, attending seminars and classes whenever necessary. One result of this has been Dr. Shen’s certification in sedation dentistry. Sedation dentistry is a great way of allowing patients who suffer from dental anxiety to finally get the treatment they need. Our sedation techniques can put our patients in a state where they are calm and relaxed enough to undergo their procedure. In fact, some of our sedation patients come out of their procedure not even remembering it happened. Lastly, when looking for a dentist in the Mountain View, CA area, it is important to find a dentist who is knowledgeable and experienced. Dr. Shen holds credentials from UCLA, UC Berkeley, UCSF, and USC, just to name a few. And, Dr. Shen has spent years putting these to use, obtaining a level of skill and ability that makes her a great choice for any procedure you may be interested in pursuing. As you can see from the information above, Dr. Shen is fully capable and qualified to perform any potential treatments you might need. Here at Smile By Design, we pride ourselves on our ability to provide quality dental procedures with customer service that makes our patients feel like one of the family. If you have any questions about our practice or would like to see if you qualify for one of our many treatments, we encourage you to contact us and schedule a no-obligation consultation with Dr. Donian Shen today. We look forward to working with you soon!